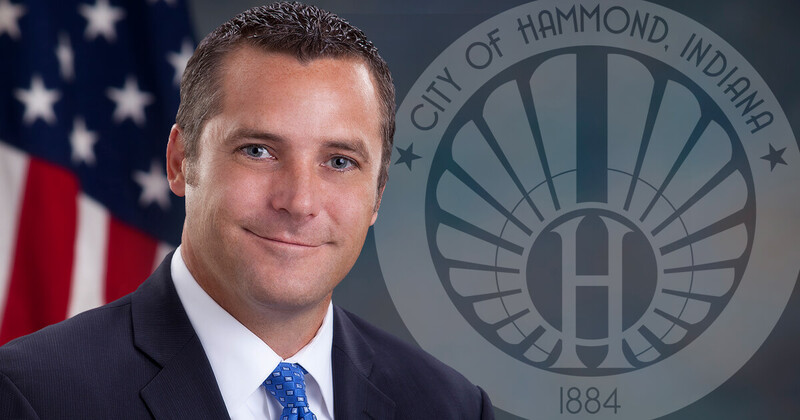 Mayor Thomas M. McDermott, Jr. made good on a promise this week when the City of Hammond filed a lawsuit against two men accused of vandalizing the city over the summer. The lawsuit alleges that Jossean M. Echevarria of Becker Street in Hammond and Diquan N. Ray of Burnham, Illinois spent over three months stealing copper wire from city lights including those at schools, parks, ball fields, and streets. “I want these guys to know that Hammond isn’t going to just stand by and let this happen. They will pay the price criminally I hope, but these two and people like them will also pay the heavy price of a civil money judgment hanging over their heads when they get out,” said Mayor McDermott. Both Echeverria and Ray have been charged with federal crimes of transporting stolen property across state lines. They were caught on September 24th by Hammond police after allegedly committing a theft of wire from a Calumet City park. They await trial on these federal criminal charges. “The United States attorney’s office in Hammond has done an outstanding job in ensuring these two will face stiff penalties if convicted. I appreciate United States Attorney Thomas Kirsch’s partnership and willingness to help our city,” said the mayor. The civil suit requests $1,500,000 in damages as Indiana law allows the tripling of damages when a crime has been committed. The suit contends that the amount of copper wire stolen is estimated at 50,000 linear foot. “These two spent their summer harming the City of Hammond. Anyone who does that needs to know the city will hunt them down and make sure they pay the price. This lawsuit should send a very strong message,” said Mayor McDermott. The suit is currently pending in the Lake County Superior Court.